Will the Vikings be looking for a new kick returner? 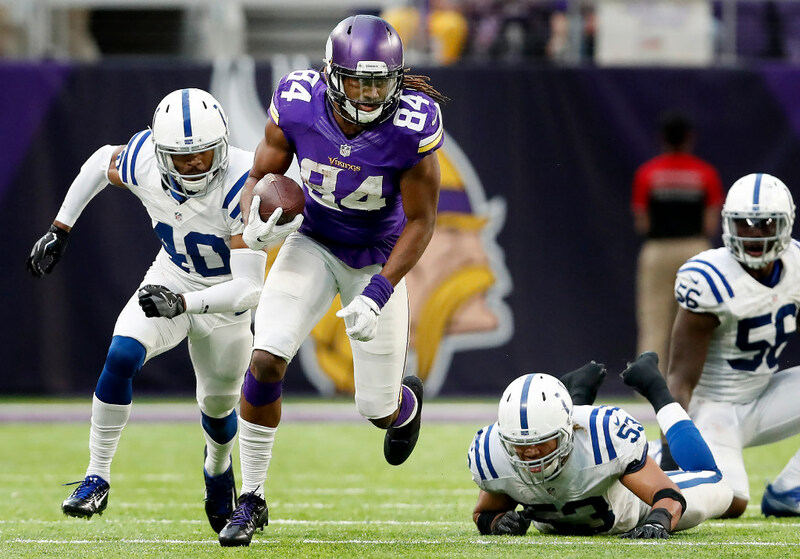 Free agent options aren’t robust should the Vikings be looking to replace Cordarrelle Patterson next month. He’ll undoubtedly be the best returner available. In lieu of playing time for Laquon Treadwell, Vikings General Manager Rick Spielman got an extended look at Cordarrelle Patterson last season before the former first-round pick could test free agency next month. Giving those opportunities to Treadwell next season will be a “point of emphasis” moving forward, Spielman said last week, which could make it difficult for the Vikings to pay Patterson what he might command on the open market. So where does that leave the Vikings and their NFL-leading kick return game? Their free agent options aren’t very robust should the Vikings be looking to replace Patterson next month. He’d undoubtedly be the best returner available on the free agent market. Other avenues could help fill the void. Internally, punt returner Marcus Sherels used to command that role, but he hasn’t since 2012. Undrafted and drafted rookies, such as Bengals returner Alex Erickson and Chiefs standout Tyreek Hill last season, annually make differences in the return game as well. Patterson has been one of the NFL’s best kick returners, if not the best, since he entered the league in 2013. Despite the touchback rule aimed to further mute kick returns, Patterson averaged a league-best 31.7 yards last season and was named to his second All-Pro team as a returner. Underutilized or unreliable as a receiver? That’s the question other teams will likely be willing to gamble on given Patterson’s unquestionable talent. Ginn turns 32 in April and could be a more manageable contract for the Vikings as a proven kick and punt returner. He’s had unreliable hands in the past, fumbling 17 times on returns in his career. However, only three of those whiffs have come during his 300 kick returns in 10 NFL seasons. Tate is another receiver who could fill the Vikings’ potential opening at kick returner. Tate hasn’t done much on offense throughout his career, but he’s been reliable fielding kicks averaging 22 to 26 yards per return in each of his eight NFL seasons. Tate also spent three seasons with the Bengals (2011-2013) while Mike Zimmer was defensive coordinator. No player had more kick returns than Thompson (35) last season. He averaged 23 yards per return, ranking 11th among players with at least 15 attempts. The former undrafted Florida receiver has been effective when given chances in the return game. Mariani was once a Pro Bowl kick returner for the Titans, but that was six years ago during his rookie season. Injuries derailed his stay in Tennessee before returning last season to average a career-low 21.5 yards per kick return.